was discovered by Caroline Herschel in 1783. 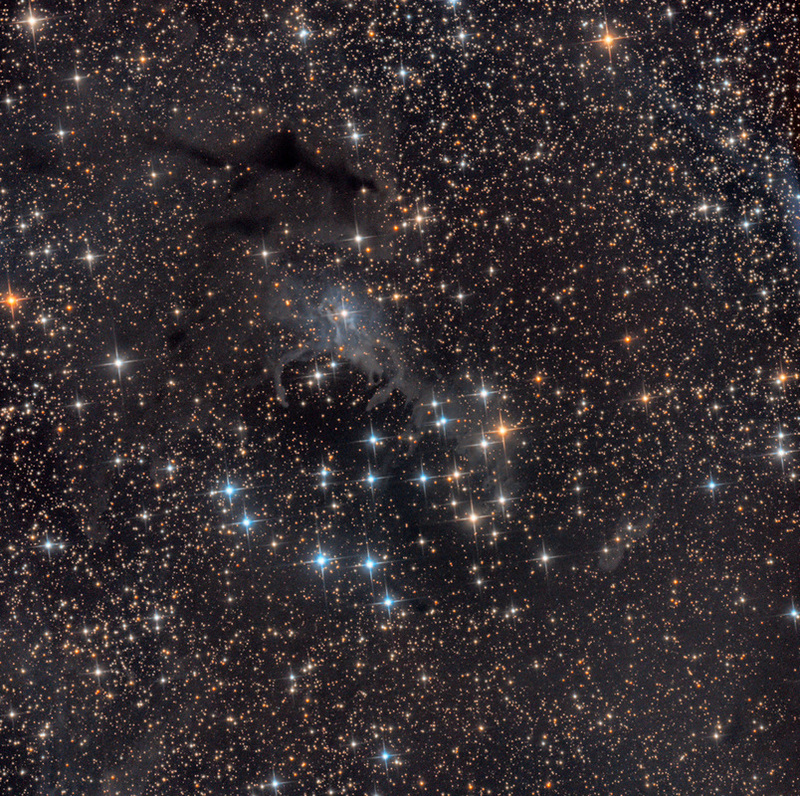 This beautiful open cluster and associated reflection nebula was nicknamed the Sailboat Cluster by my friend Dr. Rod Pommier in an Astronomy Magazine article. Acquisition was by David Kopacz, to whom I am grateful.